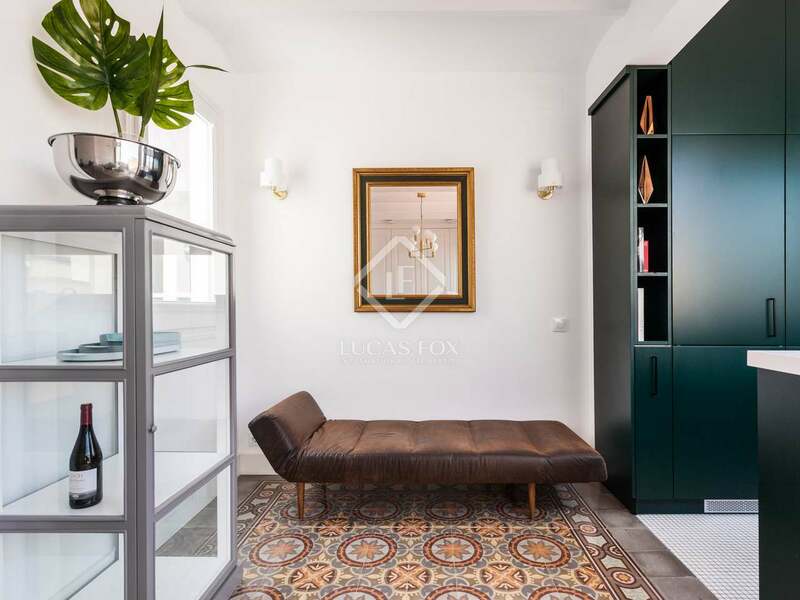 Tastefully renovated and furnished penthouse with a large terrace for sale close to Passeig de Gràcia in Barcelona's Eixample Right. 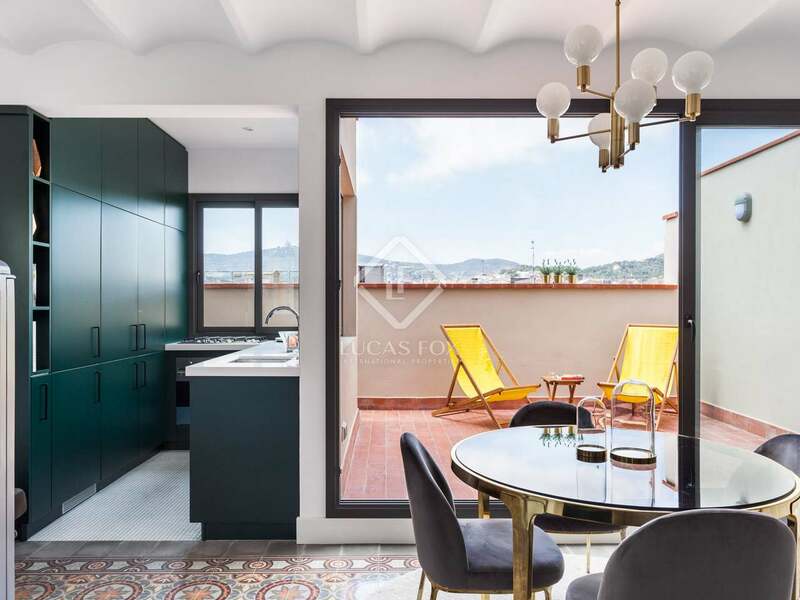 Stunning renovated penthouse for sale with views across the hills surrounding Barcelona and Tibidabo. 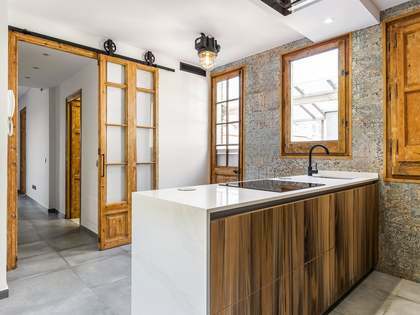 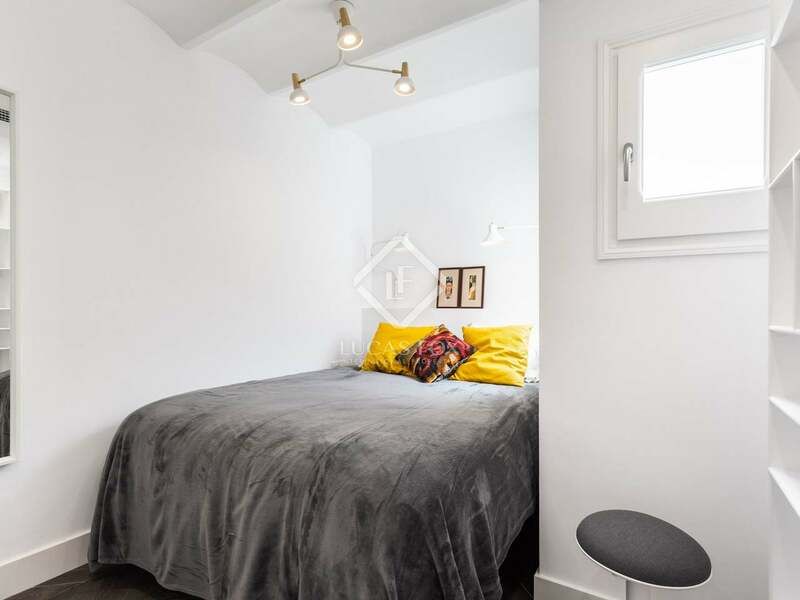 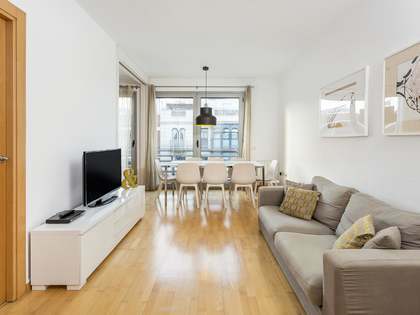 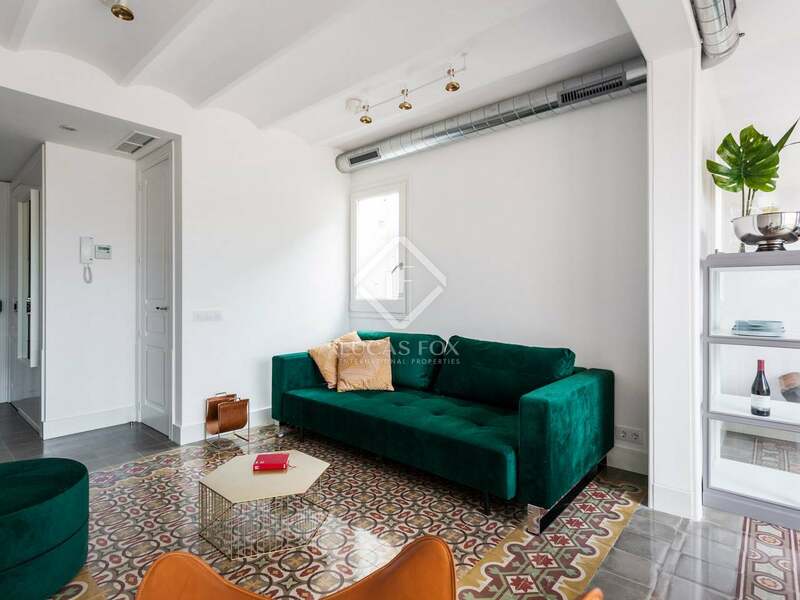 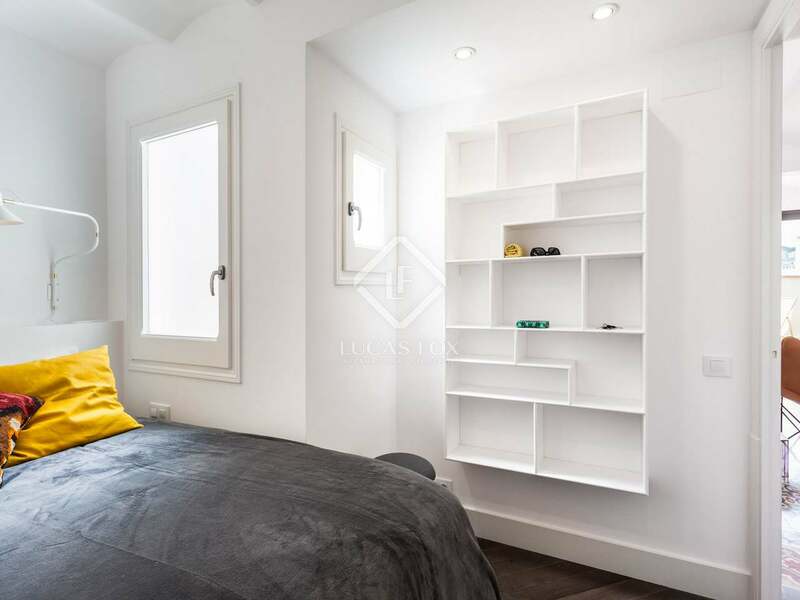 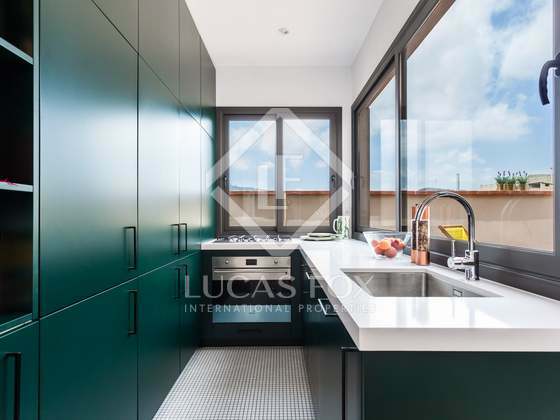 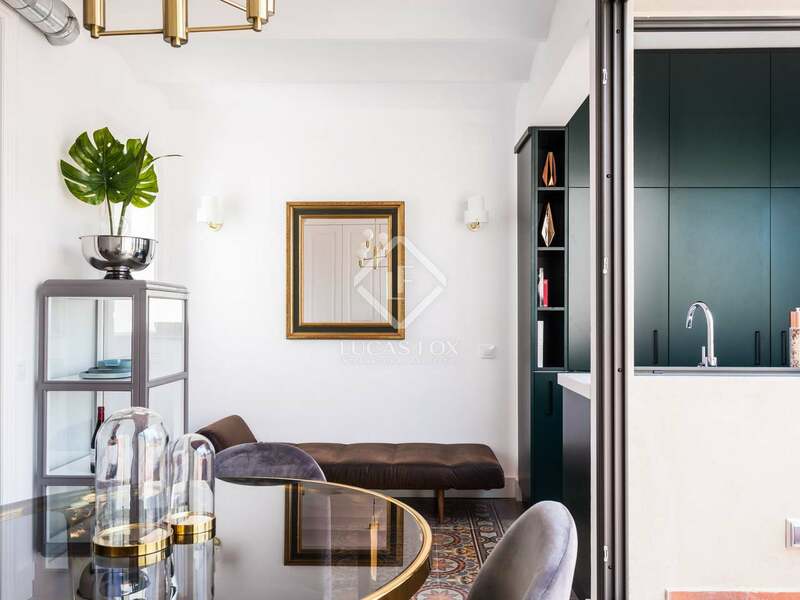 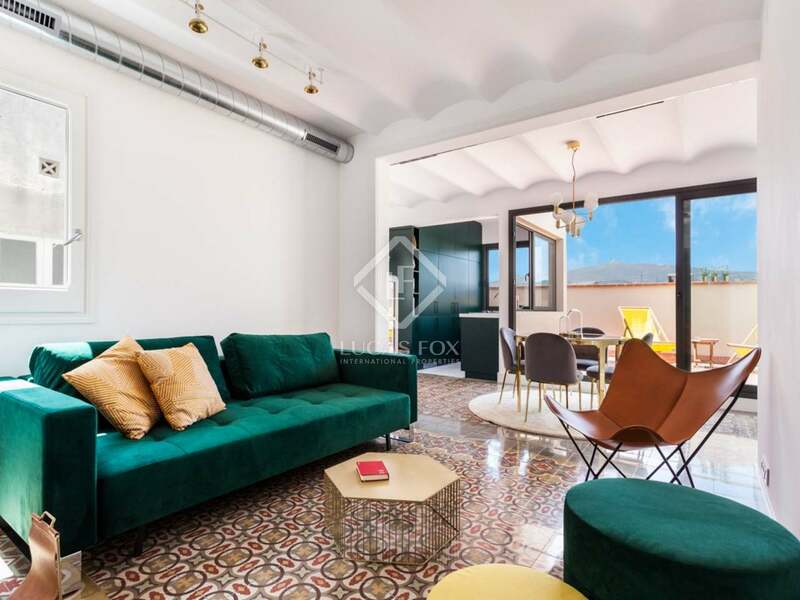 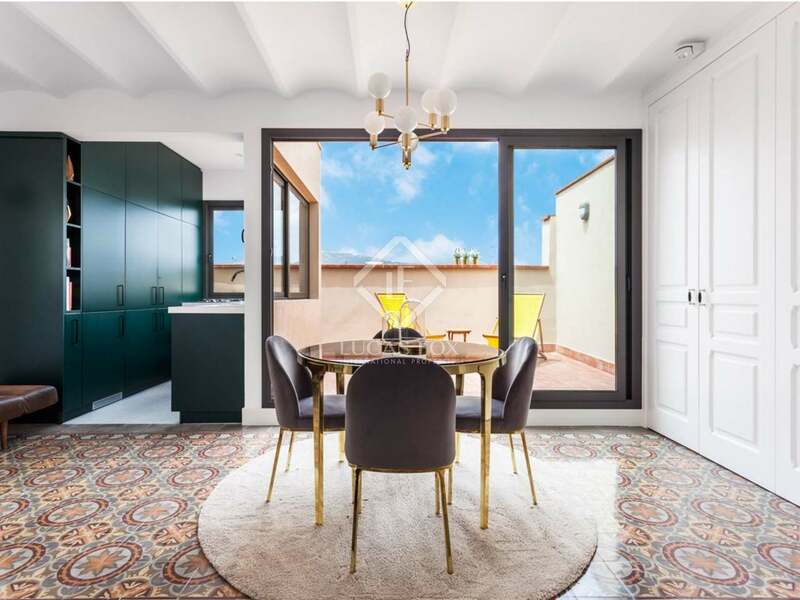 Situated on Carrer de Còrsega, the property enjoys an excellent location in Barcelona's Eixample Right, close to the exclusive Passeig de Gràcia and many of the city's best shops and restaurants. 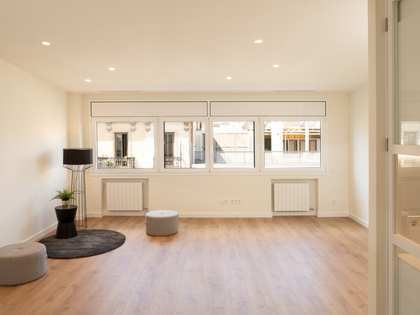 Located within a beautiful modernist building with a lift, all communal areas including the entrance, stairways and patios will have been completely renovated by the end of 2018. 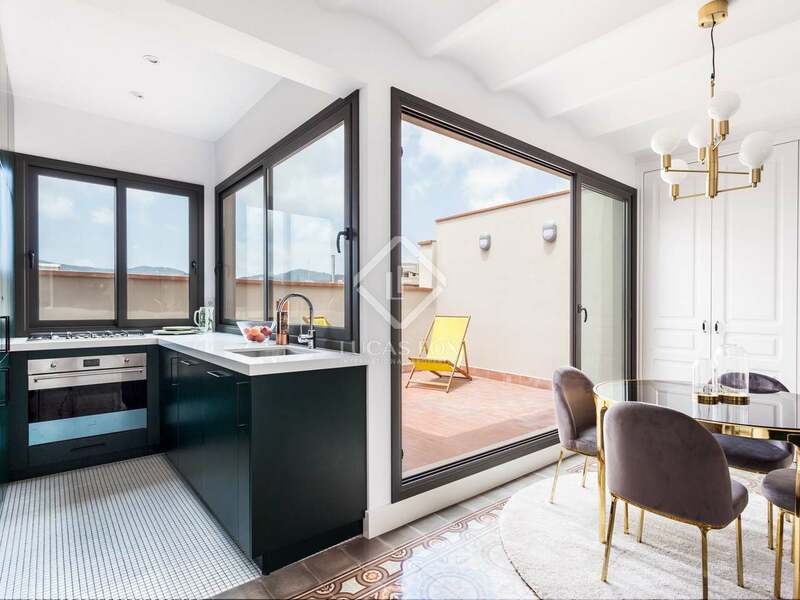 The apartment itself has undergone a tasteful renovation with sliding glass doors opening onto the 17m² terrace. 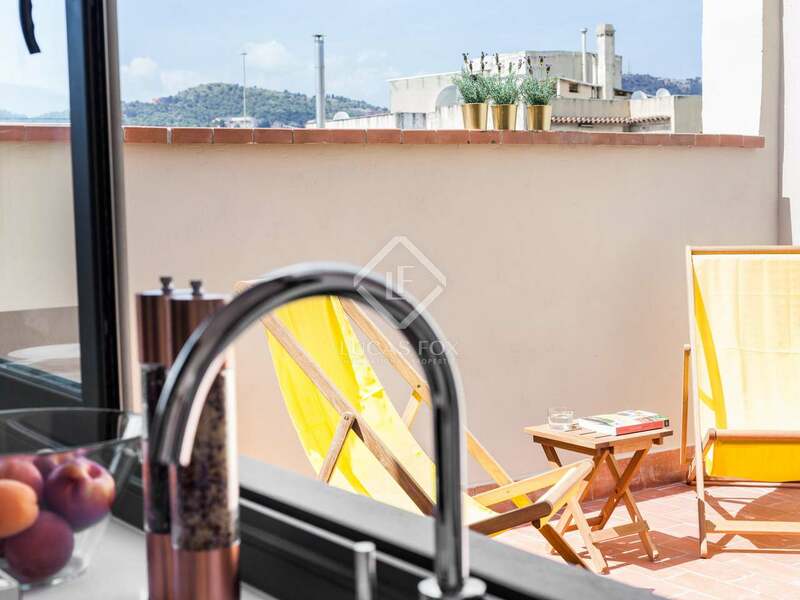 The kitchen, fully equipped with Smeg appliances, plays a central role in the design with direct access to the terrace and the living area. 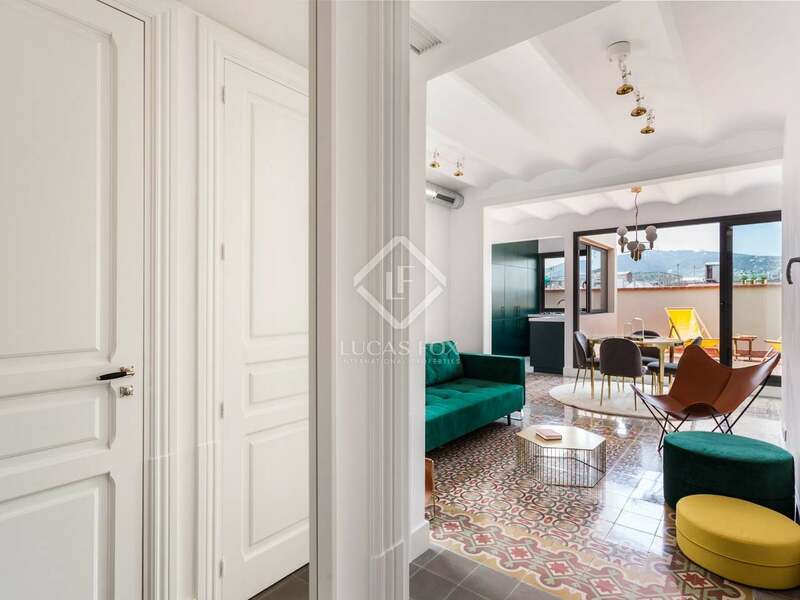 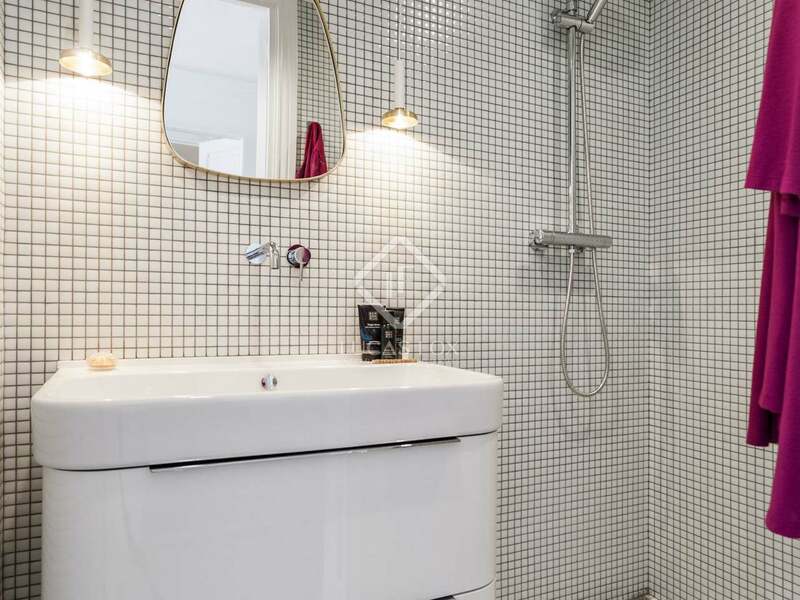 The apartment boasts vaulted Catalan ceilings and beautifully restored tiled flooring. 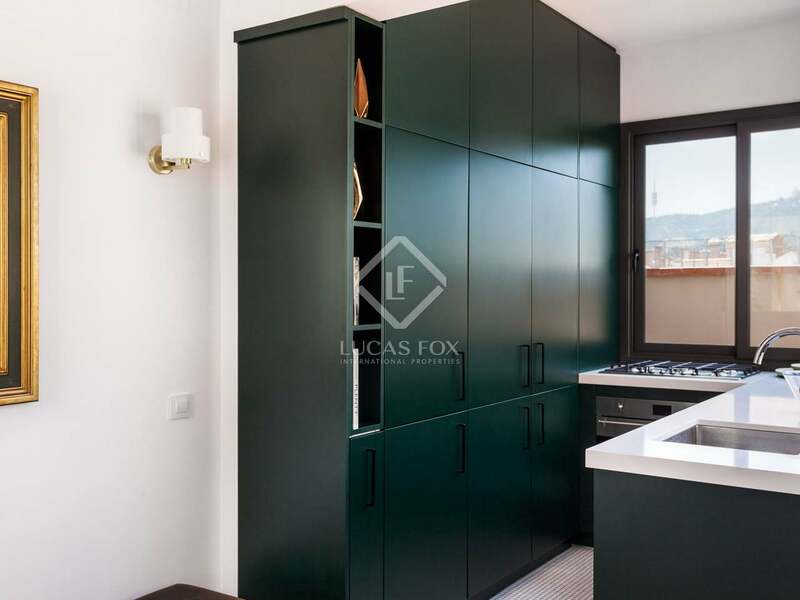 The double bedroom has attractive oak wood flooring and a comfortable sofa bed in the living area increases the sleeping capacity to 4. 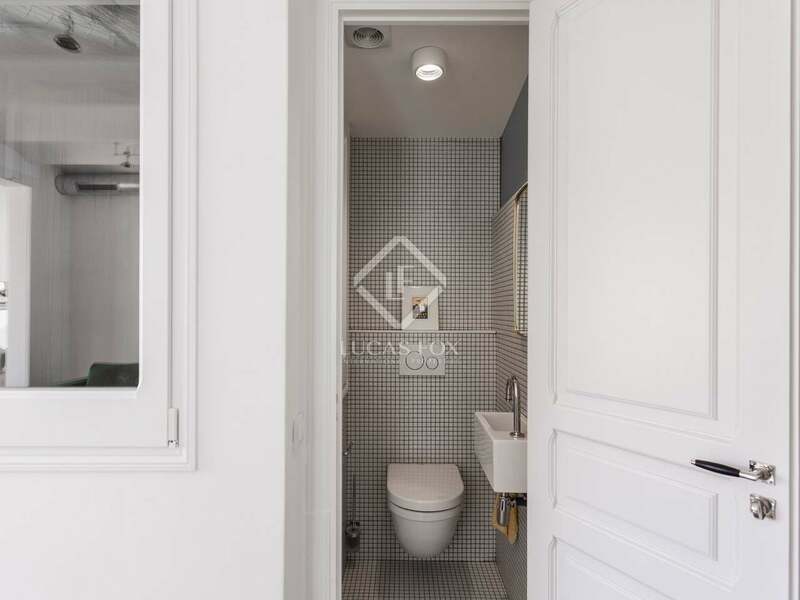 A modern bathroom plus a guest toilet complete the property. 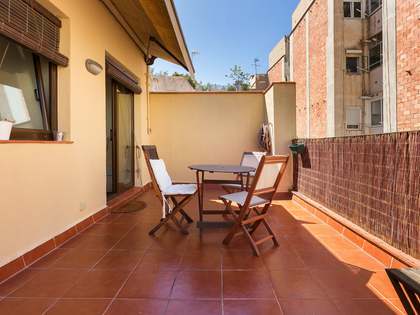 The apartment is presented in excellent condition, fully furnished and with finishes of the highest quality. 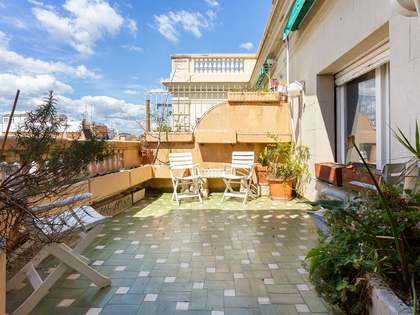 Property located on Carrer de Còrsega, close to Passeig de Gràcia in the heart of Barcelona's sought-after Eixample Right. 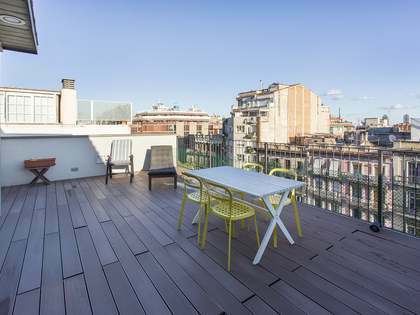 The area offers some of the best and most exclusive shops and restaurants in the city and is also very well connected to the rest of Barcelona by public transport.